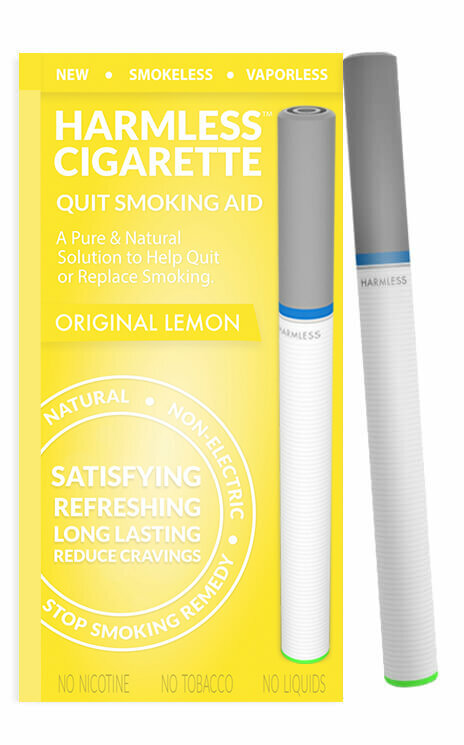 Harmless Cigarette™ Original Lemon quit smoking aid promotes various remedies to help make quitting easy. 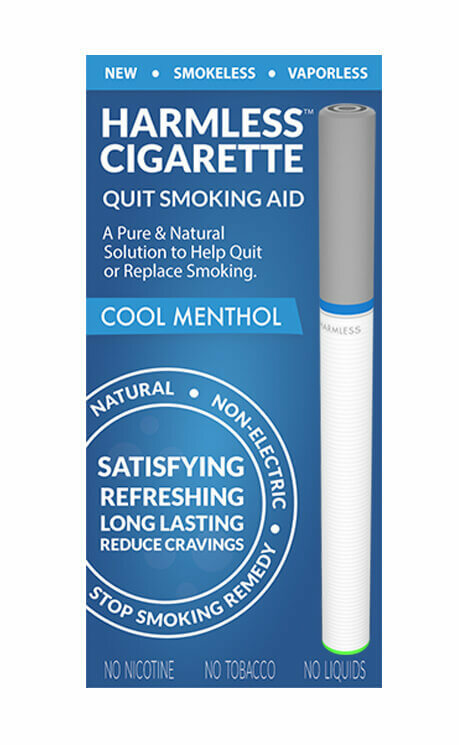 It helps overcome the urge to smoke, reduce cravings, and satisfy hand-to-mouth gestures associated with smoking. Great gift idea for friends + relatives who smoke. Works amazingly well (you have to see and feel it). I use it myself and works instantly. Can’t say I have tried anything better then this! 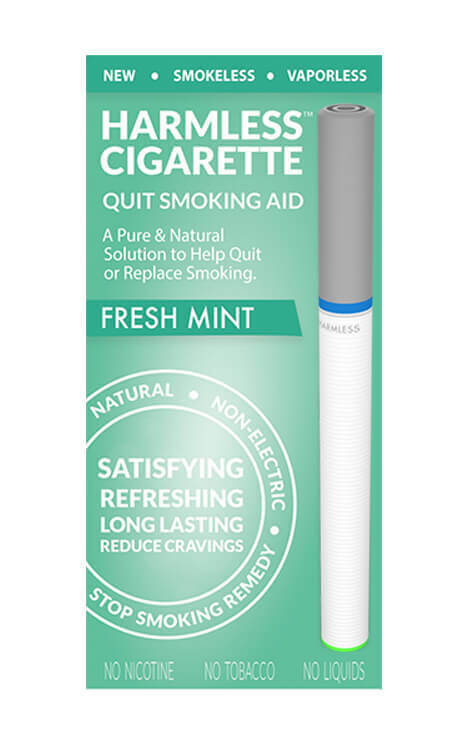 I started using this cig prior to my exams to help me stop smoking and it was a huge help for the mental and physical smoking habit, and it helped me think clarly and focus. I must say it is fantastic for helping with these purposes. 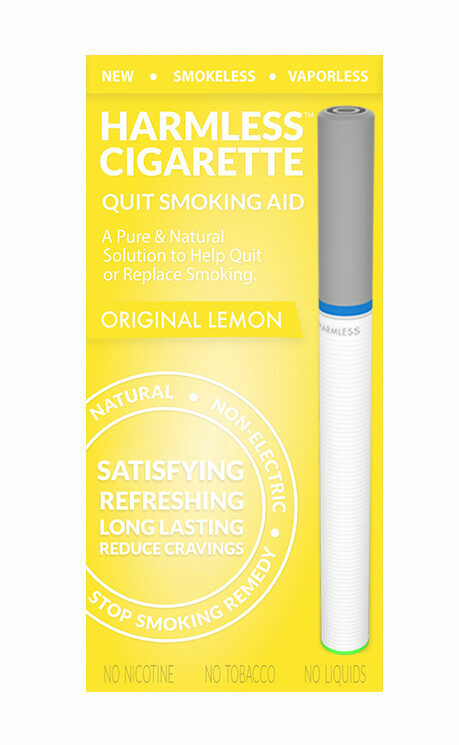 Overall, it’s also helped me cut down from a pack to almost no cigarettes, I slip sometimes and have a smoke, but I quckly stop and get back to using these. I need to get some more so I can quit completely for good. It does work and it does help. Helped me cut my smokes in half and I take it when I fly to calm me down without taking prescription drugs. 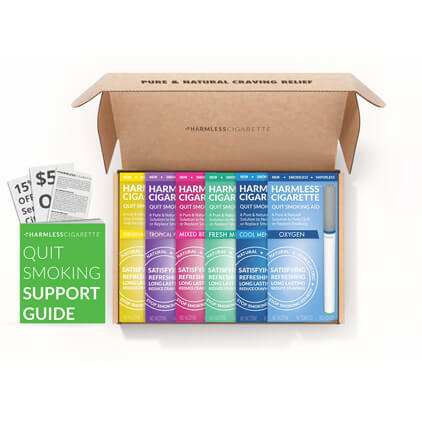 I think it’s an amazing natural way to quit smoking! I’m a 40 year smoker trying to quit. 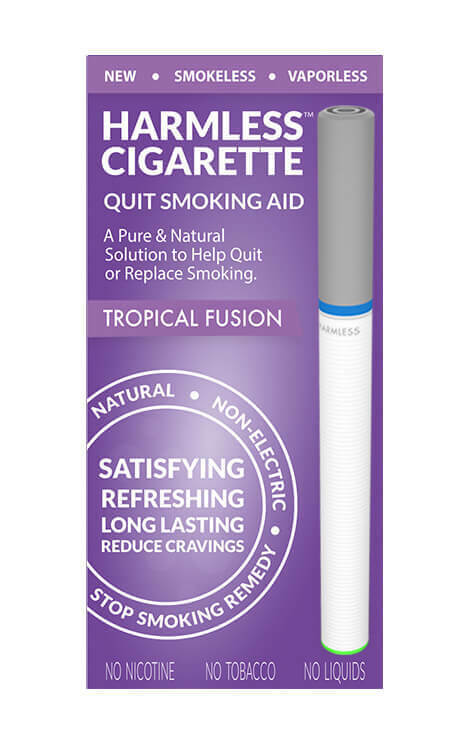 This product is fantastic for satisfying the psychology need to hold and puff on a cigarette. I cut back to 8 cigarettes from 2 packs the first day! Looking forward to being smoke free after my first week.